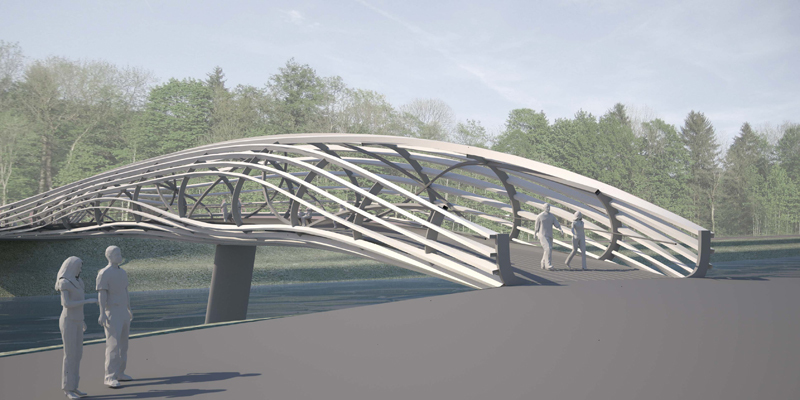 The new pedestrian bridge links two banks with unequal characteristics, a residential area on the eastern side and a floodplain forest on the west. 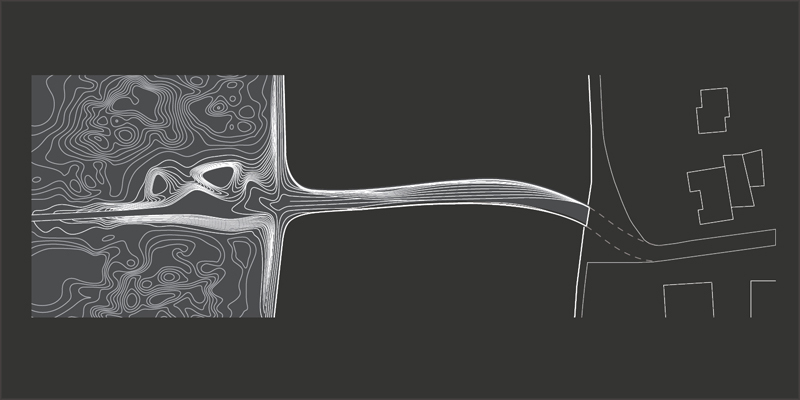 The proposal responds to this by a different articulation of the two bridge heads. At the eastern bank the bridge starts as a distinct structure while at the other side it merges into an artificial landscape that conjoines with the existing terrain. The horizontal beams are bundled or expanded according to structural constraints and to frame scenic views of the surrounding. At those spots the bridge is widened to create zones with seatings for pedestrians. 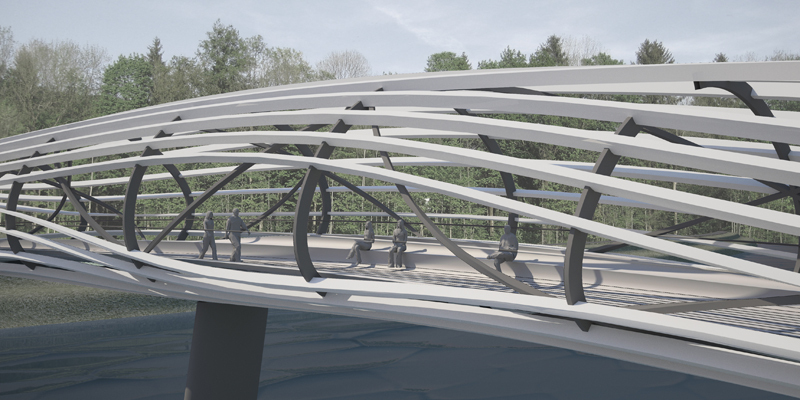 The bridge is not only a quick link between two points, but a transforming spatial experience and a place for abidance where the river and the surrounding nature can be experienced from unusual perspectives.